Sen. Cory Gardner, R-Colo., arrives at the Senate Chamber for an abbreviated pro-forma session at the Capitol in Washington on Dec. 31, 2018. Republican senators up for re-election in 2020 are trying to figure out how closely to align themselves with President Donald Trump. 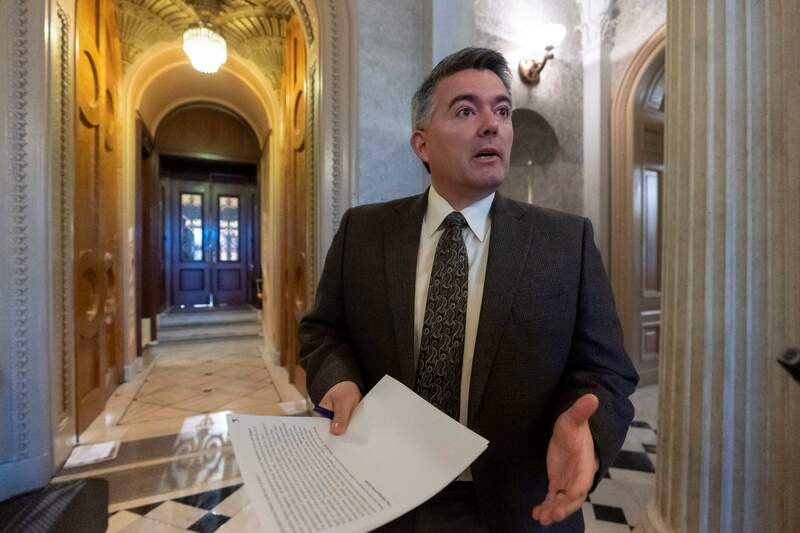 DENVER – Republican Sen. Cory Gardner helped mastermind the GOP’s midterm strategy of pushing Senate candidates closer to President Donald Trump. But heading into his own 2020 re-election bid in Colorado, he’s allowing more distance with the not-so-popular president. Democrats will be on offense in 2020, on much easier terrain with a wider map of incumbent Republicans at risk. Winning the Senate majority will require a net gain of at least three seats – four if Republicans hold the White House.